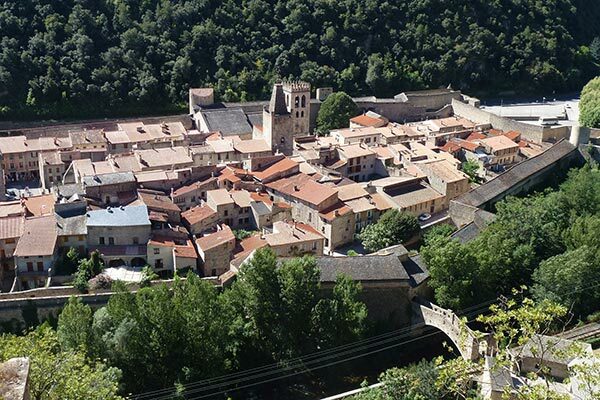 A town whose fortifications were built by Vauban, on the Unesco World Heritage list, Villefranche de Conflent, situated in the Eastern Pyrenees, is the starting point for the little yellow train that will enable you to discover the magnificent landscapes of Cerdagne. 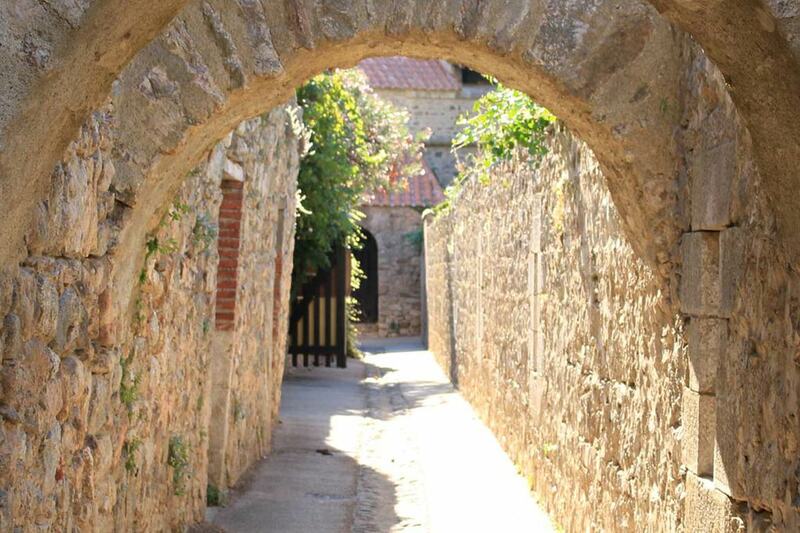 300 m from the medieval town, visit the Grandes Canalettes caves. Only 8 km away, visit the Casteil wildlife park at the foot of the famous Mount Canigou. 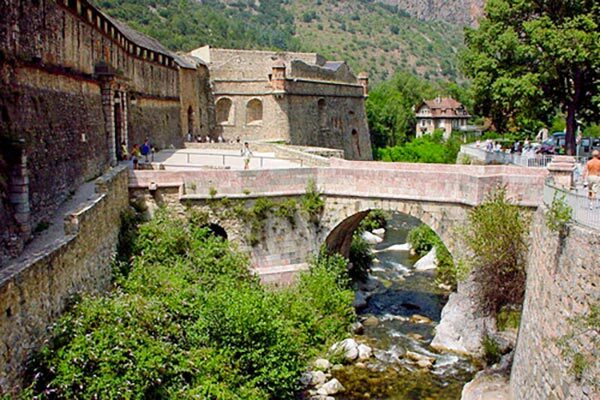 Villefranche de Conflent is an old commercial city, ranked Most Beautiful Villages in France. It has a rich history as evidenced by its monuments and ancient architecture. Visitors will be able to admire the ramparts and the Viguerie tower reinforced by the fortifications of Vauban and Le Fort Liberia. The latter were classified Unesco World Heritage Site in 2008. In the heart of the village, you will still see the shops, the houses of notables and rich merchants. Still on the list of must-see attractions in Villefranche de Conflent, don’t miss the Romanesque church of Saint Jacques, the superb natural caves with concretions of the Petites and Grandes Canalettes, the doorstep shops to buy souvenirs. If you are looking for more original ways to discover this village, it is possible to walk through the village and its surroundings along the river, following the River of the Têt or to take the famous ” Yellow Train “ to cross the hills and reach the highest railway station in France Bolquère in open wagons. Camping les Pins will enhance your weekend or your week of holidays with a lot of leisure and entertainment. On site, you will find a water park with a swimming pool, paddling pool and water slides. Swimming will be pleasant in all seasons because the pool is heated. Parents will be able to keep an eye on their toddlers while they play in the heated paddling pool. The water slides will allow you to go crazy and discover many sensations. Lazy people are free to sunbathe on the dedicated deckchairs. Its team organizes aquatic activities, children’s clubs, various activities to create an atmosphere, especially in high season. You can also enjoy the sports grounds: volleyball, football, table tennis, petanque and all the facilities of the campsite. A wide choice of mobile homes and cottages for rent is available at camping Les Pins. You can choose to stay in a cottage for 4/5 people or a Chalet Prestige Premium or mobile-home with a capacity ranging from up to 7 people. They have one or two rooms equipped with blankets, pillows and sheets, possibility to buy sheets. They also have a fully equipped kitchen, bathroom, WC, terrace with garden furniture, TV or even more in some models. If you like traditional camping in tente, in camping-car and in caravan, camping Les Pins offers you bare pitches, arranged on green grounds in the shade or in the sun. The electrical connection, sanitary facilities and a camping service area will offer you more comfort.